For many Wiccans, the most treasured—and usually most private—“tool” of one’s practice is the Book of Shadows. Unique to each individual, this book is where ritual protocols, prayers, poems, spells, and other useful and inspiring information is kept. For covens, the Book of Shadows is the ultimate “handbook” for practicing with one’s fellow Wiccans, and the material in its pages may have been passed down through the decades from the very beginnings of modern Witchcraft. For solitaries and eclectics, it is a place to build and grow one’s practice, one page at a time. A Book of Shadows is somewhat like a journal, but with a decidedly spiritual and magical focus. 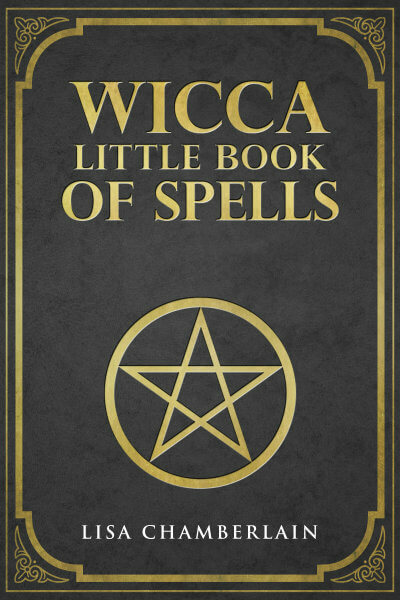 It may include spells, names and dates of Sabbats and Esbats, incantations and other ritual language, lists of magical correspondences for colors, crystals and herbs, and a host of other useful magical miscellany. The Book of Shadows is essentially a modern grimoire—a term used in the 19th century to describe texts covering various occult topics such as magical theory, descriptions of rituals, instruction in spellwork and divination systems, mystical philosophies, and other esoteric information. Examples of grimoires can be found throughout the Middle Ages and even earlier, ultimately dating back to stone tablets found in ancient Egypt and Mesopotamia. It was Gerald Gardner who adopted the term “Book of Shadows” as a title for his own coven’s grimoire, which was meant to be kept secret from all but the initiated members of his coven. The material was added to and revised as time went on, with the understanding that these practices should not become static and fixed but should instead remain dynamic, with new generations of Witches adding and subtracting as they saw fit. 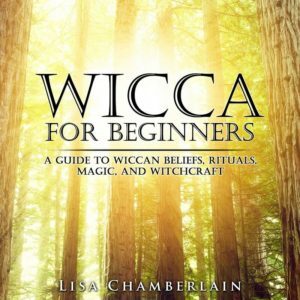 As this modern form of Witchcraft grew into what we now call Wicca, it branched out into other traditions, with new voices contributing to the creation of new Book(s) of Shadows—though not every tradition uses this particular term for their collections of spiritual and magical knowledge. Most covens tracing initiatory lineage back to the origins of Wicca still keep their ritual practices secret, and no one but initiates has access to those pages. However, authors from some traditions have shared their information more widely, which is partly how so much information about Wicca has become available over the past several decades. While it’s rare for a Wiccan to publish their full Book of Shadows for all to see, plenty of sample rituals and other useful nuggets of information have made it into the public sphere. And among the newest generation of Wiccans, you will even find some who share their Book of Shadows in online forums. Clearly, the tradition of secrecy among Wiccans has been deemed unnecessary by some in this new “age of transparency.” Nonetheless, it’s still the norm to keep one’s personal Book of Shadows exactly that—personal, and hidden away from the eyes of anyone who just wouldn’t understand the magic and beauty of the Wiccan way of life. Creating and maintaining a Book of Shadows is certainly not a requirement for practicing Wicca, but it can be an invaluable tool for a variety of reasons. For one, it’s a way to keep all of your most important information regarding your spiritual practices in one place. Most Wiccans have at least a handful of books in their personal libraries that contain favorite spells, rituals, and other knowledge, but flipping through them all to find what you’re looking for isn’t always the most efficient way to get things done. As you build your practice, you can start recording the information you use the most in your Book of Shadows. You can also read aloud from it during rituals, rather than trying to memorize everything all at once. And, of course, it’s an excellent place to record tried-and-true spellwork for future reference, as well as information about your favorite magical ingredients. But how do you make a Book of Shadows? Well, if you’re a solitary practitioner, then the contents, order, and appearance of your Book of Shadows is entirely up to you. Some people like to have a fancy journal with an embossed cover and a lock, while others are happy to decorate a plain black notebook. It's even possible to buy a dedicated blank Book of Shadows online. These days, some Wiccans choose to keep their Book of Shadows on an electronic device, and, as mentioned above, some even publish theirs online. One practical recommendation, if you’re the old-fashioned type who still uses ink and paper, is to consider holding off on including new material until you’re sure of it. For example, you might want to write down a particular incantation or new ritual sequence on separate paper first and try it out before committing it to your Book of Shadows. But no matter how you choose to approach it, know that you can’t get it wrong. It’s your journey, and the Book of Shadows is your travel log, which you can continue to add to, subtract from, and modify according to your own inner guidance.